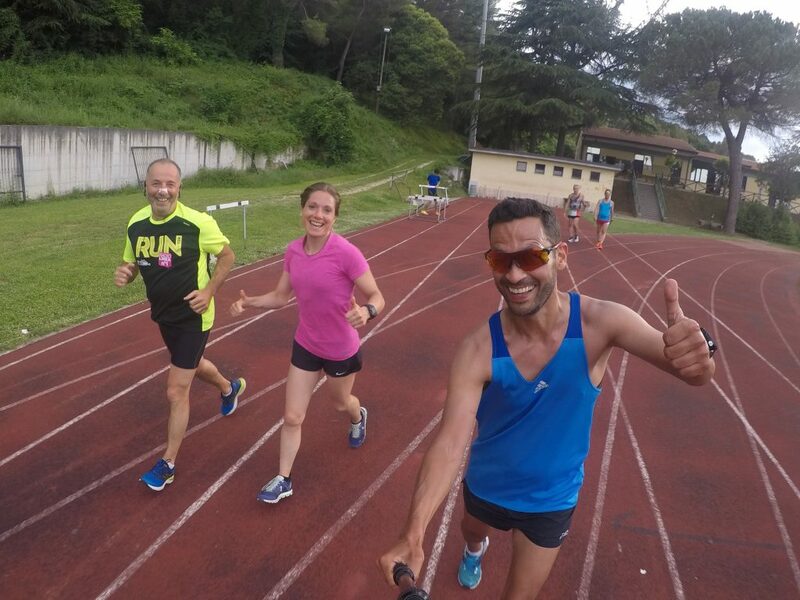 “You run when you’re on holiday?! Are you mad?? Holidays should be relaxing!”. Genuine feelings or a mask to hide a secret admiration or envy? As I sit here in Martina’s hometown of Ascoli Piceno and gaze out of the window with the seemingly endless Italian rain lashing down outside, I can’t help but ponder over the true definition and purpose of a holiday (along with whether or not I email Ryanair to demand a full refund for this ‘unseasonal’ Thursday in June). noun: a time or period of exemption from any requirement, duty, or assessment. If indeed a holiday refers to a break, a rest, an escape from the usual routine of life, then running certainly plays a part for me. Running on holiday is not something I feel I SHOULD do, nor is it using up precious time of my holiday. On the contrary, running enhances the experience of my short time away from reality. For most of you, once the grey and gloom of those early months of the year begin to pass and spring beings to submerge from it’s hiding, you start to formulate your quick fix ‘lose weight/tone up’ plan ready to satisfy your beach body aspirations. Why? To enhance your holiday of course. You want to improve the way you look to increase your confidence, which in return will make you feel better about yourself and increase your experience of those precious two weeks. But let’s be real here for a moment – if indeed you achieve your pound shredding target, by the time you’ve arrived at the hotel and accepted the complimentary sugar laden mojito (don’t be fooled, it’s built into the room rate), spent 4 hours on the beach creating your own bespoke tasting menu of pizza slices, local pastries, and ice lollies you used to eat when you were 12, you are soon back to feeling how you did at Christmas – full, bloated, and lethargic. So the actual feeling caused by looking how you want to look (which is what it is truly about) lasts about half a day. Now please don’t get me wrong, I am not trying to be holier-than-thou here; far from it. Since my time in this beautiful country I have tasted my fair share of exquisite pasta dishes, homemade limoncello, and desserts I didn’t even know existed. But, running enables me to indulge a little more than I ordinarily would because as well as managing to cram my snorkel, flippers, and Super Mario swim shorts into my meagre cabin bag allowance I also remembered to bring with me… some balance. 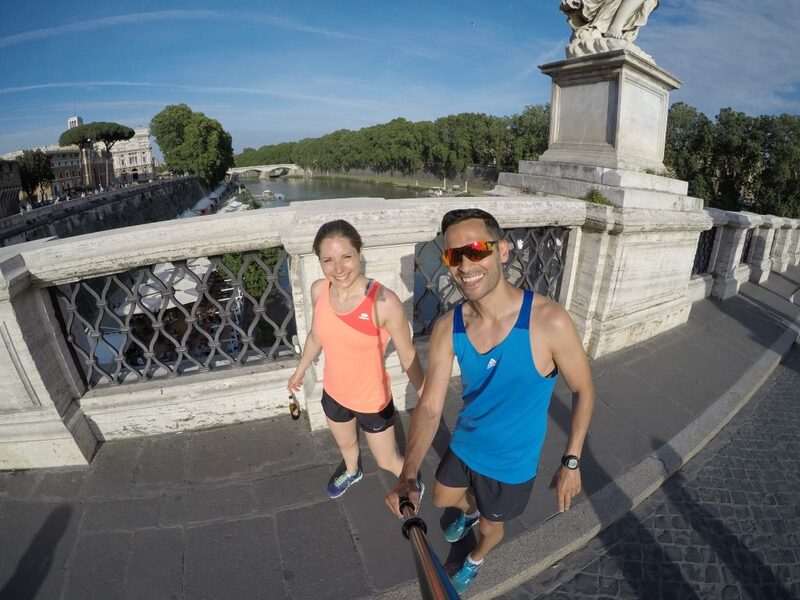 So far, combined with a little bit of google research, a hydration pack and a sense of adventure, we’ve ran the historic streets of Rome taking in the Colosseum, the Pantheon, the impressive Altare Della Patria, and even managed to swing by and flick a couple of lucky coins into the Trevi Fountain. 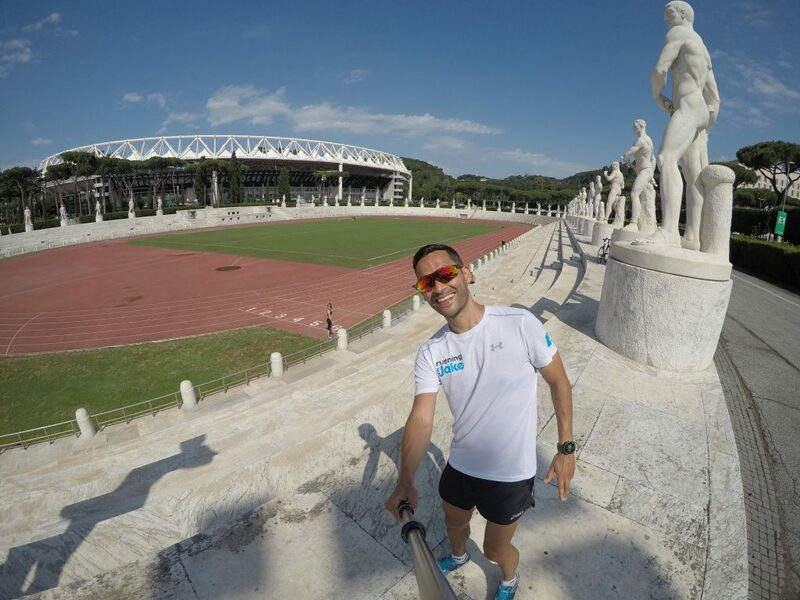 We’ve done a few laps of the Vatican to grab a quick selfie with the Pope (not entirely untrue), ran along the beautiful Tiber river and even managed to squeeze in a couple of track sessions, one of which was in the national stadium that hosted the Olympics under Mussolini. 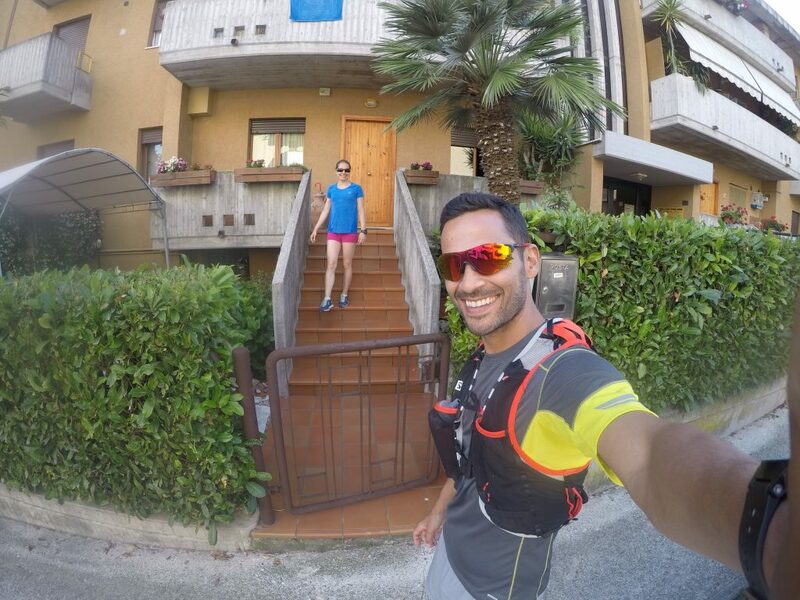 Running on holiday helps you to see so much more than you would ordinarily be able to do on foot. It makes you feel good, it helps you to relax, it justifies a little overindulgence, and when you do return home you will find it much easier to get back into your usual exercise routine. So next time you’re racing around last minute looking for your passport and travel adapters why not throw your trainers in your case. You never know, you might just feel like wearing them. Want these blog posts in your inbox?